Discover Comfort... Chapel Ridge Apartments in Johnston, Iowa. Welcome to Chapel Ridge of Johnston! We offer two and three bedroom apartment homes located in the serene community of Johnston, Iowa. Our community exudes all the charm of small town living with the excitement of Des Moines close at hand. You will enjoy the beautiful local parks, well-kept jogging and biking trails and lush landscaped surroundings of our property. 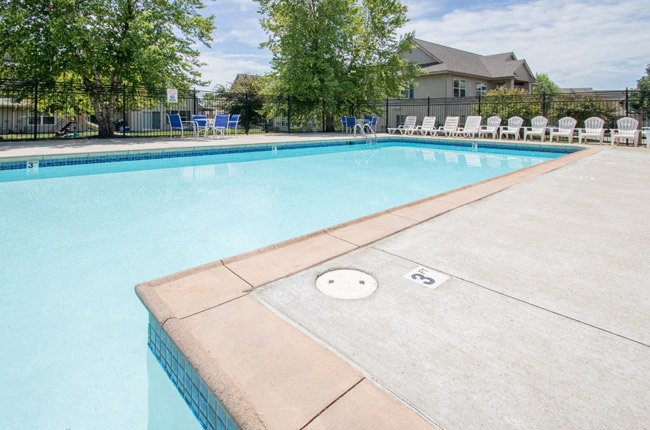 For your convenience and enjoyment, our community features an outdoor swimming pool as well as a 24-hour fitness center. With spacious and affordable floor plans, top-notch management services, and unparalleled apartment and community amenities, Chapel Ridge of Johnston is the place you want to be for years to come. Chapel Ridge of Johnston has the perfect combination of tranquil community living and close proximity to urban thrills that will make you feel right at home. Saylorville Lake and surrounding outdoor recreational areas are right outside your door. If you’re looking to embrace the excitement of the city life, a quick twenty-minute drive is all it takes to enjoy the best dining, shopping, and entertainment destinations in Des Moines. Our community’s convenient access to Interstates 35 and 80 brings the entire metro area right to you.